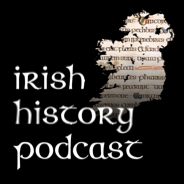 This episode begins what will be a fascinating journey through the last 1500 years of Irish History looking at some of the most fascinating chapters in the island’s past. While the coming episodes will chart everything from great battles to Viking raids all the way to rebellions we will also stop in the houses, towns and villages to see what daily life was like for our distant and not so distant ancestors. Did people really only live to 40 in the Middle Ages? Maybe you’ve been puzzled how people survived before email, phones, cars or even proper roads? ‘Barbarians’ sets the scene by looking at what life around the year 500. This will take us deep into the day-to-day existence of our predecessors tasting the food and experiencing the horrors of a medieval dentist? Through this show we see the arrival of Christianity to an Ireland that had been a pagan outpost for centuries. Derbfine This was an extended family structure in early medieval Ireland. This family unit was composed of adult males who shared a common father/grandfather/great-grandfather. This could often total over a hundred people. E-Ware pottery is an early medieval pottery type with sub groupings of E1, E2. Differentiation between these various categories is down to their differing uses. It is the most common imported pottery from the early medieval period. The most dominant opinion in archaeology suggests it originated in Western France in the Loire region. It dates from the years 550 -650 A.D. and is good evidence of post Roman trade between Ireland and continental Europe. It is usually found in small quantities on sites indicating it was high status ware. 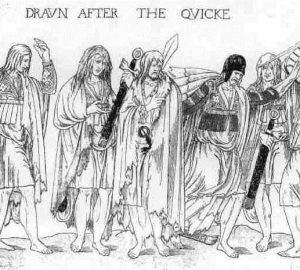 Ogham (pronounced Ome) is the earliest form of Gaelic writing and is based on alphabet of the late Roman alphabet. It is preserved today on stone. Pelagius declared a heretic of the early medieval period. He for preached against the christian notion of “original sin”. Christianity preaches that humans are born sinful – the concept of original sin. The catholic church holds to this idea still today. Comber, Michelle (2001).Trade and communication Networks in early Historic Ireland, Vol. 10, The Journal of Irish archaeology pp. 73-92 Wordwell. Good article on trade and roads but is very technical in parts particularly in the discussion on pottery. Excellent book dealing with the archaeology of the period and useful to get a feel for what remains. Remember though its archaeology and not history so it deals mainly with what remains not what happened. Chapter one is useful. Its an introduction. It will probably provoke more questions than answers – but any book that covers 2000 years of history in 400 pages will! Charles-Edwards, T.M. (2000) Early Christian Ireland.Cambridge: Cambridge Unversity PressI found this heavy enough going in parts but it is very good on Gaelic societal structure which is incredibly complicated and many authors fudge. 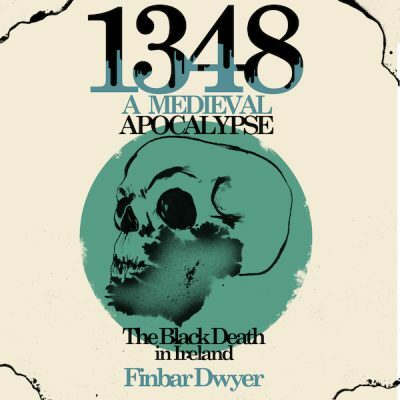 Ó Cróinín, Dáibhí (1995) Early Medieval Ireland 400-1200. Longman History of Ireland. London.Excellent, Does exactly what is says on the tin. This is probably the best book on Gaelic Ireland. Although written originally in 1973, its still an amazing work. Although it deals with the late medieval period it is still useful for an overview of Gaelic society. The Celtic World is a collection of essays by various Academics, on strangely enough the Celtic world. It puts Celtic Ireland in a European context. It has a comprehensive “history” of Gaelic Ireland up until 800. I use the word history in inverted commas as some of the sources as he points out are not the most reliable. This can at times be hard to follow but it gives a good impression of the main events. It is a bit dated.